Christianity came to Gigha around about 563AD with the missionary monk, St Columba, who was travelling up the coast of Argyll from Ireland to Iona. 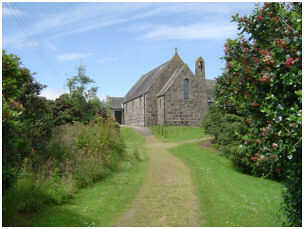 One of his contemporaries, a monk called Catan, subsequently built a cell at the site of a holy well, and this became Kilchattan church and graveyard serving the south of the island. There was another chapel to serve the north of Gigha, founded by a monk called Fionnlagan, also with a graveyard. The remains can still be seen in the field opposite Tarbert farm. There is a stone cross amongst a pile of stones. These large stones were burial markers which were cleared to the centre of the field in order to increase the area of agricultural land. There is also a chapel on the island of Cara, founded by a monk called Finla. 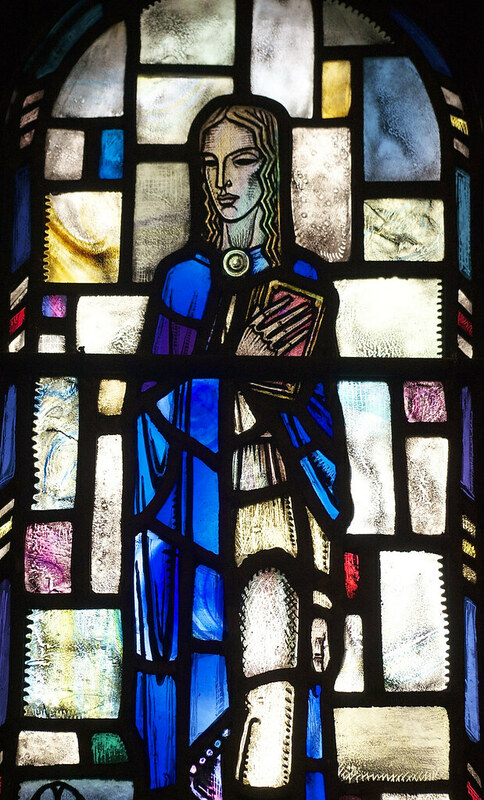 St Columba and his contemporaries belonged to the Celtic church, which was based on monasteries and missionary monks. By the 13th century the church was ruled from Rome with a parish system of bishops and priests. It was at this time that the Kilchattan church was built. It became a part of the protestant church, Church of Scotland, at the time of the Reformation in the 16th century and was used until the 18th century, after which it became a ruin. In 1712 a new church was built on the site which is now the hotel car park, and when that fell into disrepair another church was built in 1780 on the same site, a portion of the wall of that church being all that now remains. By the early 20th century a new church building was needed and fortunately the minister at the time, Rev Donald MacFarlane, had been an architect. He therefore designed the present building, which was relocated on “Cnocan a' Chiuil” (the hill of music), and constructed from the black whinstone of the previous church. It was completed in 1923, but sadly Donald MacFarlane died in that year. 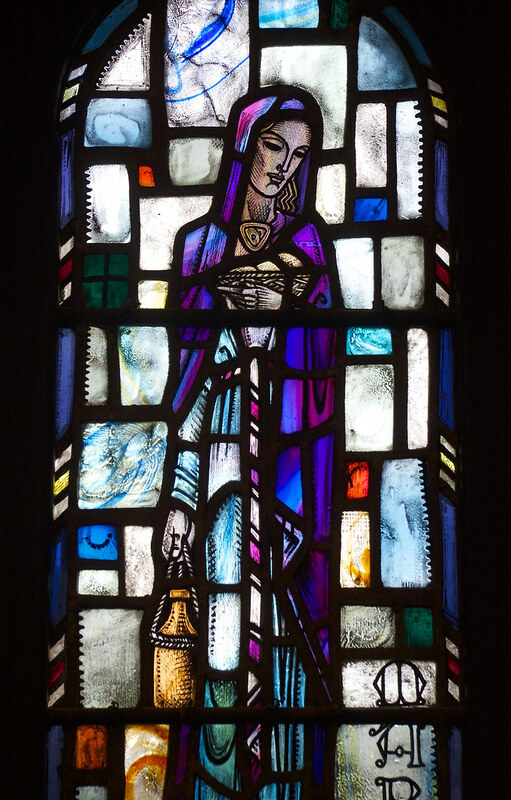 The St Columba window at the front left of the church is dedicated to his memory. When the church was built there was only one stained glass window, dedicated to those who gave their lives in the 1914-18 war. It depicts Jesus on the cross, with the words of Jesus on the night before he died, “Greater love hath no man than this, that a man lay down his life for his friends.” (John 15:13). Below the cross is the empty tomb reminding us that Jesus is alive today and that through faith in him we have the hope of eternal life. Over the years the other stained glass windows have been added: the war memorial depicting St Columba overcoming evil, those dedicated to previous ministers, Donald MacFarlane and Kenneth MacLeod, one to a former laird, Sir James Horlick, and also members of the McNeill and Galbraith families, the two main clans on the island in past days. 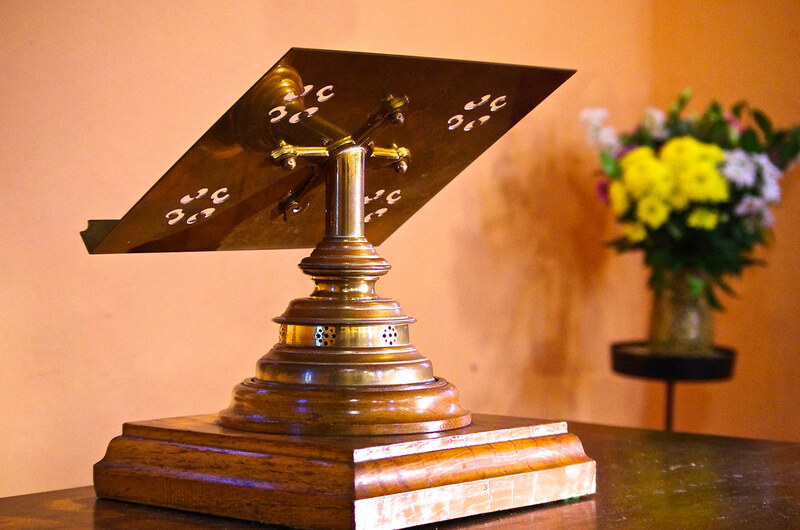 The baptismal font came from Kilchattan church, where it used to sit below the lancet window. We hope that you will find the peace of Christ here in our church.